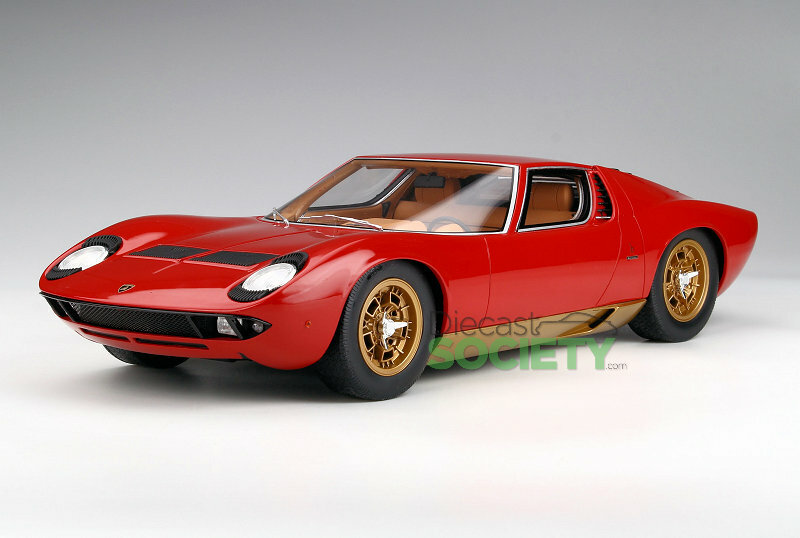 Kyosho will be bringing forward a 1:12 version of the Lamborghini Miura P400S in Red with Gold wheels. This model comes from their resin sealed series, that equates to no access to interior or motor design. Only 350 pieces will be issued. Street date is April 2019. Suggested retail $357US. 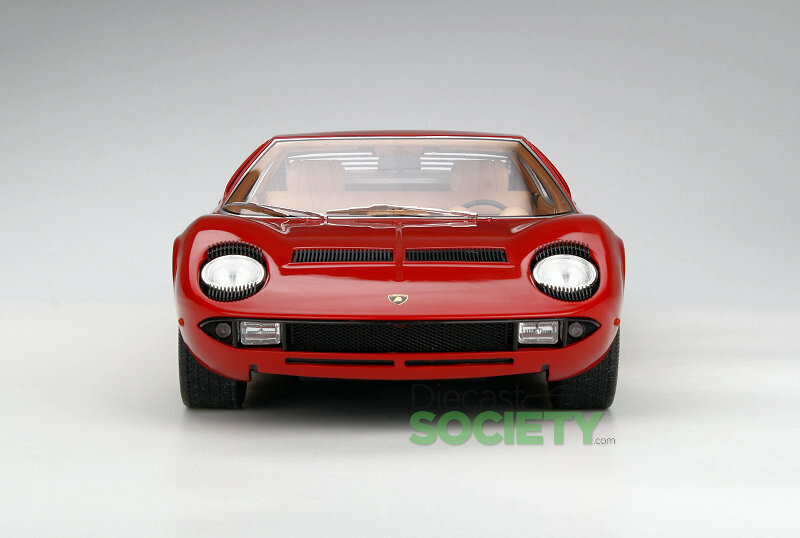 9 Responses to "Kyosho New Lamborghini Miura P400S"
Body shape is wrong and detail is at toy level. This is the exact same (shared) lousy junk tooling as the GT Spirit version. Both are pigs in different colors. Are they too lazy to do their classic 1:18 diecast business at all now? These are like something my daughter would put barbie dolls in. Not “IN”, “ON”, as “on top of”, this one doesn’t open! LOL! I can’t understand … Kyosho has already produced a good Miura some years ago in 1/12 scale, why not re-propose the old mold, maybe improved? Why waste time producing (or rather, being made by others) similar useless blocks of resin? I think they are done. What is left is the name Kyosho, that has almost lost its luster with collector community. Too bed it had to end this way… I have the metal die cast with opening features they made years ago… It’s got paint rash buit is still better than this new one.